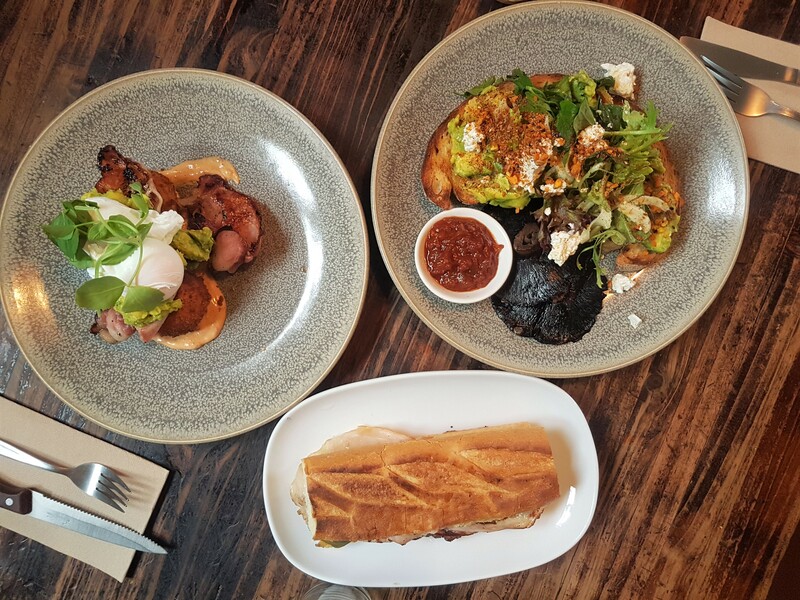 It is always nice to stumble onto a new place, I have probably driven past it at least two dozen times without a thought, tucked away on St Georges Road in-between a few shops on a small strip, and The Breakfast Club sits unassuming. Small and quaint it oozes the romantic charm of a local café, if you can, head past the counter to the courtyard outside, it is where you want to be for brunch in the summer. 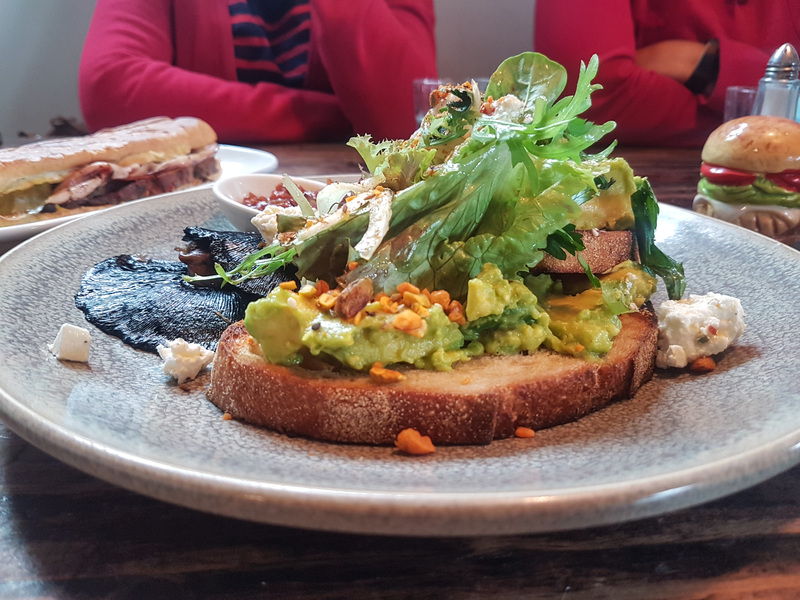 Anyhow, onto the food, the whole menu looked great, a variety of classics and chef inspired dishes; I went with their Cuban sandwich, the potato croquettes and the proverbial “why I can’t afford a house” avocado on toast with a side of mushrooms and relish. 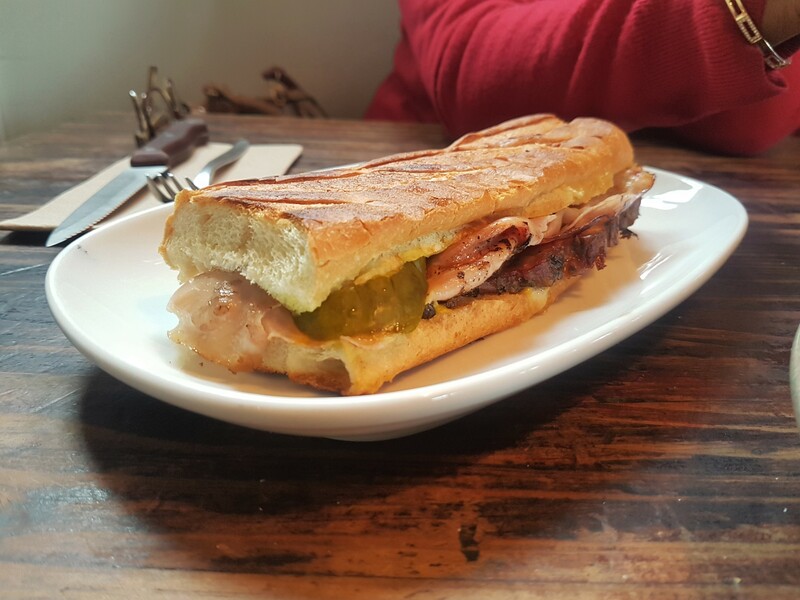 They all came out together and looked on point, I started immediately with the sandwich; it was layered well, pork, ham, cheese, a liberal helping of pickles and a good amount of condiments. The sandwich was pressed to perfection, the right balance of crunch to chew, overall a great start to the meal. 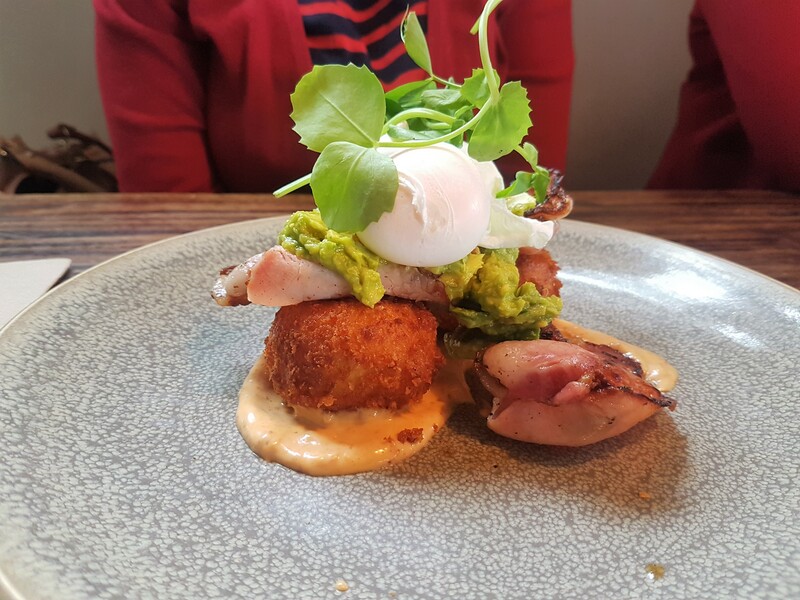 Onto the potato croquettes, served atop chipotle mayo, they were loaded with bacon, avocado and a few poached eggs. The dish was constructed to be delicious, back, potato, avo, chipotle, how could you go wrong, classic flavours done really well and served in an appealing manner, so far they’re batting 100. Lastly the Avo on toast, simple yet complex. Served on sourdough with feta, dukkah and a few pickled fennel slices and herb salad. The dukkah added welcome texture and flavour to the dish helping cut through the saltiness of the feta and the sweetness of the added relish. I was thoroughly satisfied with my visit to The Breakfast Club and I can say with 100% confidence I will be back repeatedly. Recently I’ve started working down near the surf coast and have been making my way around with a few colleagues to hit some of the pubs and restaurants in the area, unfortunately for us, not much is open on Wednesdays down here in winter, after a bit of googling we found that it was Parma night out at the Jan Juc Pub. Unable to pass up this deal we made a plan and headed there after work; the place isn’t overly fancy, well to say it had any ambiance on a Wednesday would be a downright lie, the lights were on, tv’s were playing the sports and there were maybe 10 people there. Onto the food, the Parma night special involved all their Parma’s (they had roughly 10 types) at $20 each. 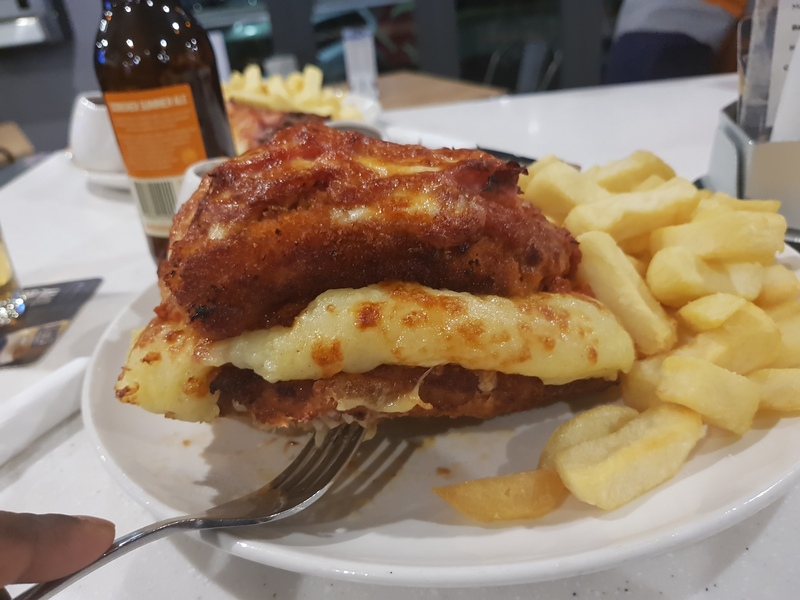 There were some interesting types there, two of my colleagues opted for “the Outback” a bbq sauce centred Parma, my eye however, was caught by the spudy, a Parma with mash potato, bacon and cheese with gravy instead of Napoli. To make it more gluttonous I ordered the “it takes two to tango”, essentially a Parma stacked on a Parma. 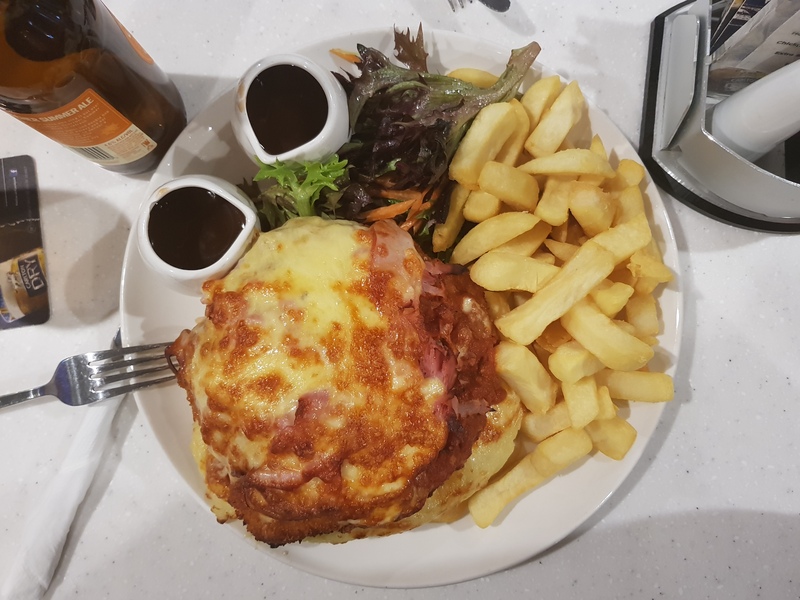 It came out and looked fantastic, a Spudy Parma with a normal stacked on top with a side of chips and salad. I was excited, I moved the original over and poured the gravy onto the spudy and went for it; the combination of the mash, bacon, cheese and gravy was amazing, they are definitely onto a winner at the beach hotel with the flavours in the Parma, the same can be said for the original, good sauce to cheese ratio and a good sauce flavour. The unfortunate part of this meal was the base of the dish, the schnitzel. It was soggy, dry and clearly precooked. It brought the whole meal down and left the overall feeling of my meal to be one of disappointment. Maybe the chef was lazy, maybe it’s because it was Parma night, and either way I would like to believe it’s not always that disappointing.